In its most basic form, world building is the creation of the world in which your story takes place. All the settings in your story inhabit your world—whether that’s your hero’s bedroom, the forest he walks through every morning, or the hospital in which he’s nursed back from a serious surgery. This means that your world doesn’t have to be as large as the planet. Your story’s world can be as small as the town where your hero lives, works, and has a social life. Obviously, his small world will be influenced by other parts of the planet even though you may not mention them explicitly (like the government, laws, climate differences, scientific discoveries, trade, and other such things). World building is vital because it can make or break your story. Defective world building may cause inconsistencies, a lack of credibility, even plot holes. A solid world building, however, will eliminate unnecessary confusion. What if your story is set in the real, existing world, then? Well, you need to build your story’s world anyway because it will include fiction in one way or another. Fictional places within the real world: perhaps your hero’s workplace isn’t real, and you may need to establish the workplace’s hierarchy, job descriptions, dress code, etc. Fictional science: perhaps you’ve decided to create medicine or other scientific advancements that may help people (or not, depending on your story) in which you may need to establish how the advancements were thought of in the first place, how they were produced and distributed, etc. Fictional authorities and organizations: perhaps you’ve decided to create a new type of government, or perhaps an elite-team whose mission is to collect and protect ancient relics, etc. All the examples above may take place in our real world, and yet they are the subjects of world building. It, therefore, doesn’t matter in which genre you write. Obviously, there will probably be more effort put into world building if your story is set in a fictional world. But it’s not exclusive to fantasy or science fiction as many believe. 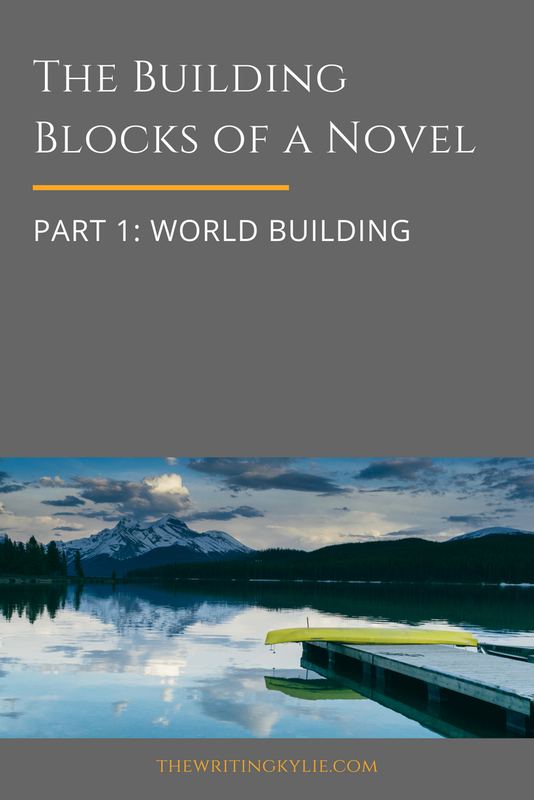 The big blocks of world building are those that create a foundation for the world. These are like the floors and walls that construct a house; you need the floor to walk on and the walls to build the rest of the house. This is about creating a foundation, a bigger whole that contains all the finer details (which I’ll go into below). Think of this type of world building as looking at your world through a wide-angle lens. What are the big things you can see? On what planet does your story take place? In what country? In what state, county, district? In what bigger area or setting does your story take place? In a forest, an office building, in a hospital, in a school, in a spaceship? What does your world’s laws, social classes, climate, trade, school systems, and similar look like? These are all basic things that carry and influence a society on every level. Obviously, these are only a few examples of what you can think about for your own story. Think of this type of world building as looking at your world through the zoom lens. You want to get into the details of the world. These details are often what makes a fictional world stand out and gives it color and new dimensions. All these details, and more, increased the feeling of her world being magical, which was the core of the series. What kinds of details are relevant to your story? How can you add rich details to your story? Foods and drinks, books and scrolls, school subjects, hidden artifacts, etc.? It doesn’t matter in what genre you write, rich details can make any world come alive. If you want to start working on your story’s world, you can check out the post Worldbuilding Questions to use while Outlining your Story: 10 Questions to Consider. If you want more exercises and questions to develop your story’s world, you can check out my ebook How to Get to Know Your Story's World with Worldbuilding Questions. If you want ready-made templates instead, you can buy and download the World Building and Setting Template in a Scrivener format or a Microsoft Word format.